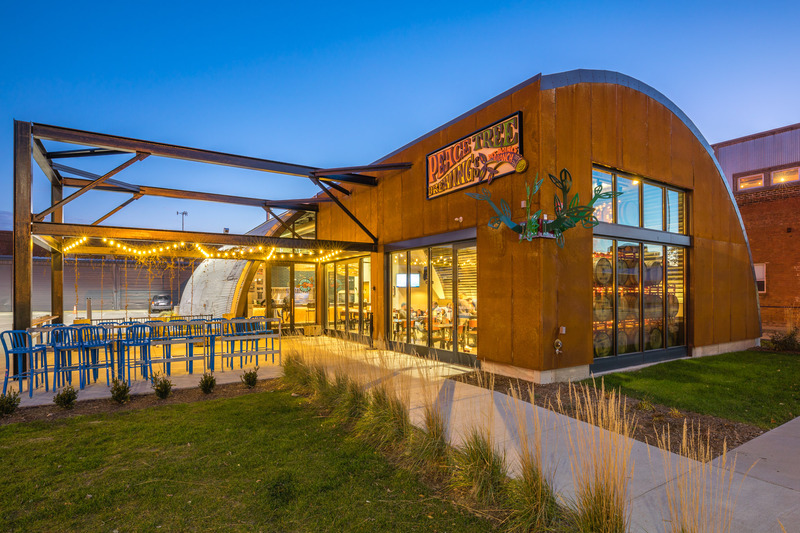 317 East Court’s new building, with its unique Quonset-hut motif, is the home of Peace Tree Brewing, complete with taproom and patio. With its prime location and unique future tenants in a newly developed parcel, 317 East Court will add a new mix of consumer services and office space in the East Village neighborhood. Christensen Development converted 317 East Court from idle warehouses into new centers for restaurants and retail. The project will add valuable pedestrian traffic in this growing area of the East Village.